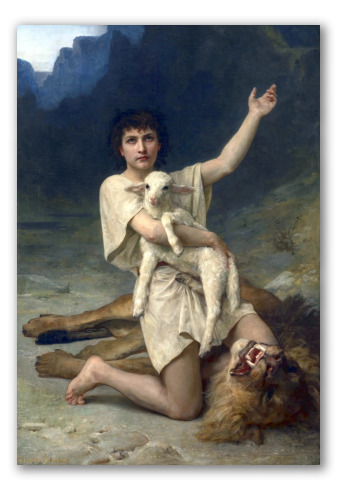 "The Shepherd David" by Elizabeth Jane Gardner Bouguereau. 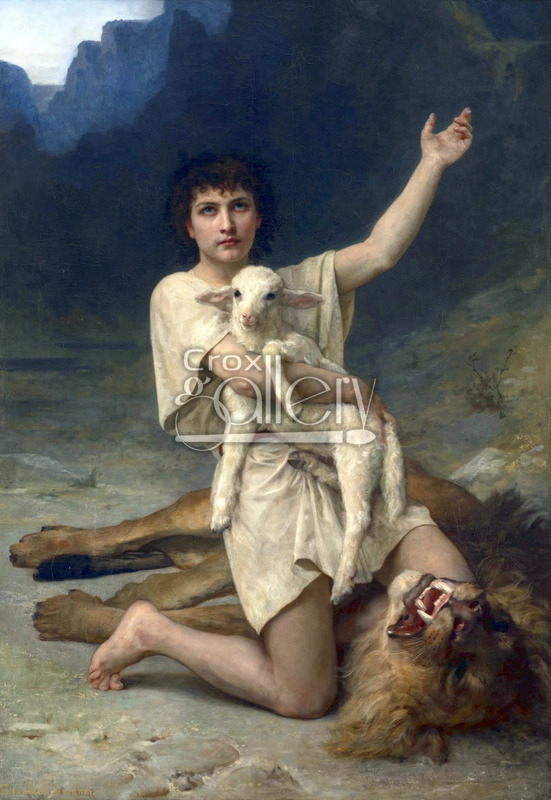 This oil-on-canvas entitled "The Shepherd David" was painted in 1878 by Elizabeth Jane Gardner, the wife of William-Adolphe Bouguereau. This American painter imitated her husband's artistic style to such an extent that the authorship of their paintings is often uncertain. This work is based on the Biblical passage from the First Book of Samuel in which the young King David proves his valor in front of the people while fighting against Goliath and the greatest fantastic beasts (in this case, the lion). This work is currently displayed in the National Museum of Women in the Arts, Washington, DC, United States.